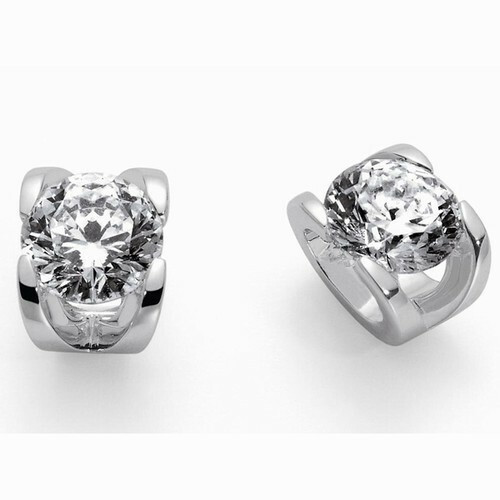 The Roberto Coin Cento collection presents these delightful stud earrings. With one spectacular Cento diamond in each, the smooth surface of the 18kt white gold setting highlights the brilliance of the gemstones. These Roberto Coin earrings have a simply elegant look that you will want to wear all the time!